Home / Blog / Answering Service Vs. Virtual Receptionist: What’s the Difference? Answering Service Vs. Virtual Receptionist: What’s the Difference? When you’re in the market for administrative help, the sheer number of Google results you get when searching can be overwhelming. What might have started as a simple hunt for office support turns into a flurry of questions waiting to be answered. Do you need someone in the office? How experienced would you like them to be? Should they handle your schedule or just answer incoming calls? Will you need full-time support, or will a part-time employee suffice? How much is this going to cost you? Before you get swarmed by search results, consider this: do you understand the difference between an answering service and a virtual receptionist? The distinction between the two can easily help narrow your search. Though the services are not wildly different, they each offer unique benefits. Once you know what you’re looking for, the decision will likely be a no-brainer. As implied by the name, a virtual receptionist can do most of the same tasks a receptionist might take care of in your office. The difference: they work remotely. While answering incoming phone calls is a given, these administrative superstars can also provide appointment scheduling services, deliver customer support, manage bookings, transfer calls to the right person/department, and even capture/qualify sales leads. If you’re in search of a friendly professional that will serve as the literal voice of the company, a virtual receptionist is what you’ll want. Out of necessity, virtual receptionists tend to be very attuned to the requirements of your business. Their role demands more interaction with your team, so they quickly adapt to the patterns, habits and routines of your office. A true partner in both customer service and administrative support, a virtual receptionist delivers an extra level of both skill and professionalism. One of the biggest benefits of hiring a virtual receptionist is the cost savings. Consider that the average in-house receptionist is paid more than $30,000 per year. You’ll need to supply them with office supplies, healthcare benefits, sick leave and vacation days too. When they take time off, you and your staff are often stuck covering their duties. A virtual receptionist, on the other hand, works from a remote office where you won’t need to worry about covering their breaks or paying for their leave. In fact, all you have to do is pay for the time they are handling your calls, which is far more cost-effective and quite affordable. An answering service takes calls for your business and passes messages, often after regular business hours or when you’re unavailable to answer calls yourself. Callers are greeted by a real, live customer service agent and your customers or prospective clients are reassured that their issues are being tended to. While customer service agents handle many of the same duties as a virtual receptionist, they are more client-facing and can manage a large influx of calls regardless of time of day. No matter your industry, at some point, you’ll likely have a customer in need of assistance after hours. Rather than pay an individual to sit at a desk in your office overnight waiting for the phone to ring, an answering service can help affordably meet your requirements. 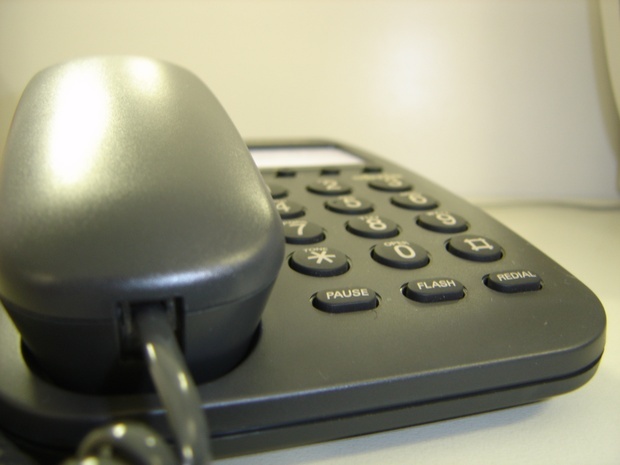 Check out this guide on answering service pricing. Imagine how much more business you could earn if your phone never went to voicemail. Imagine if a friendly, helpful voice was there to answer any question that might come up. Bilingual answering services can even help provide support of Spanish-speaking callers. Your customers will come to associate your brand with stellar customer service and round-the-clock availability. We’ve talked about the differences between the two options, but these administrative solutions have more in common than you might expect. Both virtual receptionists and the customer service agents working for an answering service undergo rigorous training. They can work from fully customized scripts and act as an extension of your business. Most importantly, both virtual receptionists and the teams behind answering services are focused on providing the best customer service possible. Your company isn’t just some nameless, faceless organization these remote workers know little about. In fact, the answering service team and virtual receptionists arm themselves with as much information as possible about your company so they can be prepared for any question that might come their way. When deciding between an answering service or virtual receptionist, it’s important to consider the unique challenges you’re hoping to solve. If you’re looking for a partner in the daily management of your office, a virtual receptionist may be a better fit. If you’re looking to keep things simple and just receive messages while reassuring your callers that you’re available for them, then an answering service might be the option for you. In many cases, businesses can benefit from working with both virtual receptionists and an answering service. Since both options can save you money and time, there’s little risk in giving both a try. MAP Communications has provided administrative solutions to businesses across the country for nearly three decades. Based in the United States, MAP is employee-owned. Because our success is directly linked to yours, every MAP team member is eager to treat your customers the way you would. Motivated and results-driven, we’re proud to be one of the leaders of our industry. If you’re ready to give a virtual receptionist or answering service a try, reach out today for more information. Our team is ready to help you customize your MAP experience. Whether you need assistance writing a script for our customer service agents or advice on which service is right for you, we’re happy to be of assistance. What is a Live Virtual Receptionist?